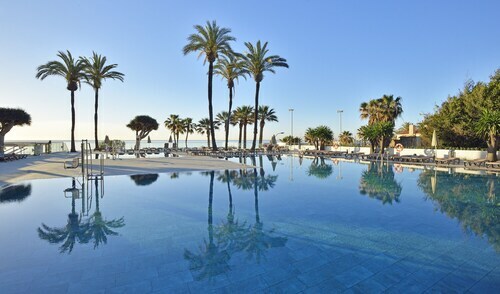 Secure a Torremolinos holiday package on Expedia today! This is by far one of the easiest ways of saving time and money for your awesome holiday. Savings of up to 15%* are available to smart vacationers who book a package deal on Expedia. With us, you'll have more than 400 airline partners and 321,000 worldwide properties to select from around the world, which means your dream holiday is just at your fingertips! Need more time to decide? There are no extra charges from us when you change almost any reservation. It's enjoyable to just wander the streets when you're somewhere new, but sometimes it's a good idea to make a plan. Grab your travel itinerary — we have some fantastic ideas for your upcoming Torremolinos holiday. We're all crazy about feathered and fuzzy critters, but how about getting familiar with those who are a tad more slimy and scaly? You can encounter some of the captivating creatures of the aquatic realm at Sea-Life. There's a wonderful range of things to keep you busy in this destination. Would you like to while away an afternoon in a lush, green oasis? Head on over to La Bateria Park. Still got time to spare? Are you just wild about animals? You can grunt, squeak and squawk with some of the most impressive of them at Crocodile Park. It's a fun day out for youngsters and adults alike! It's no secret that you don't go on a holiday just to sit in a cramped plane seat and sleep in a strange bed. Travelling is all about the awesome adventures you have while you're away! Take a look at our Torremolinos things to do page for a complete list. 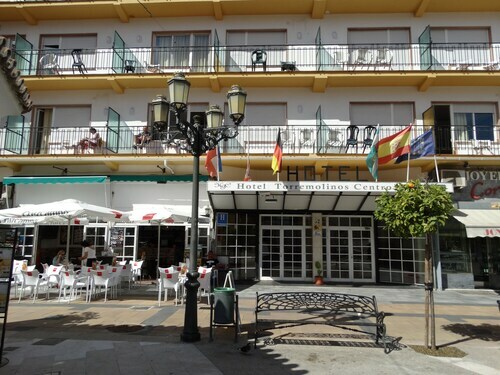 While Torremolinos does have around 127 accommodations to select from, it's always smart to reserve a room beforehand. Not sure where to start? Expedia is here to help with your next luxury getaway or cheap holiday. If you're the sort of person that can't sleep unless they've got high thread count sheets, why not snuggle down in luxury at the Vincci Selección Aleysa Hotel Boutique & Spa (Av. Antonio Machado, 57) or the Holiday World Premium Resort (Avenida del Sol 340)? If your holiday money box isn't as heavy as you imagined it would be, the Hotel Tarik (Paseo Marítimo, 49) and the Hotel Isabel (Paseo Maritimo,47) are a couple of lower-priced options. If your planning on arriving by plane, you'll probably be hitting the runway at Malaga Airport (AGP). Once you've retrieved your baggage from the carousel and headed out of the terminal, the main streets of Torremolinos will be just 4 miles (6 km) away. Relax in a spacious and green park that features a boating lake, children’s play area and stunning sculptures. Stroll or bike through the pleasant surroundings. This historic Torremolinos fishing village is today famous for its delectable seafood and spacious Mediterranean beach, which has ideal swimming conditions. One of the best beaches in Torremolinos, this sandy stretch offers plenty of space, safe swimming and a buzzing annual music festival. Stretch out on a sun lounge at this popular Costa del Sol beach and enjoy easy access to lively waterfront resorts, hotels, bars and restaurants. Situated in Torremolinos, this beach hotel is 0.3 mi (0.4 km) from San Miguel Archangel Parish, and within 3 mi (5 km) of Aqualand Torremolinos and Sea-Life. Malaga Cathedral and Picasso Museum Malaga are also within 12 mi (20 km). Torremolinos Station is 7 minutes by foot. Nestled on the beach, this Torremolinos hotel is just steps away from Playamar Beach and Los Alamos Beach. La Carihuela and Bajondillo are also within 1 mile (2 km). Torremolinos Station is 15 minutes by foot. Situated on the waterfront, this eco-friendly hotel is within a 10-minute walk of El Saltillo Beach and La Carihuela. Benalmadena Marina and Sea-Life are also within 1 mile (2 km). El Pinillo Station is 16 minutes by foot. Offering direct access to the beach, this Torremolinos apartment building is on the boardwalk and within 1 mi (2 km) of Costa del Sol Square and Crocodile Park. La Bateria Park is 1.5 mi (2.4 km) away. Torremolinos Station is 10 minutes by foot. 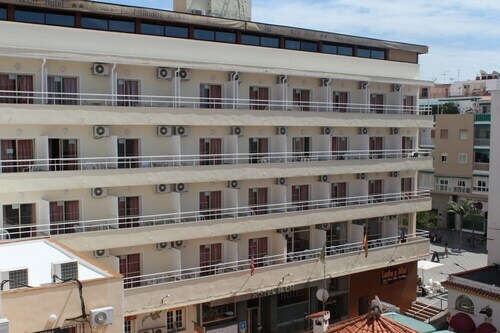 Located in Torremolinos City Centre, this hotel is within a 15-minute walk of Plaza Costa del Sol, Aqualand Torremolinos and Los Alamos Beach. La Carihuela and Bajondillo are also within 1 mile (2 km). Torremolinos Station is only a 4-minute walk and El Pinillo Station is 30 minutes. Located in Carihuela, this spa hotel is within a 15-minute walk of La Carihuela and Bajondillo. Los Alamos Beach and Sea-Life are also within 1 mile (2 km). El Pinillo Station is 14 minutes by foot and Torremolinos Station is 25 minutes. Nestled on the beach, this Carihuela apartment building is within a 10-minute walk of El Saltillo Beach and La Carihuela. Benalmadena Marina and Sea-Life are also within 1 mile (2 km). El Pinillo Station is 15 minutes by foot. 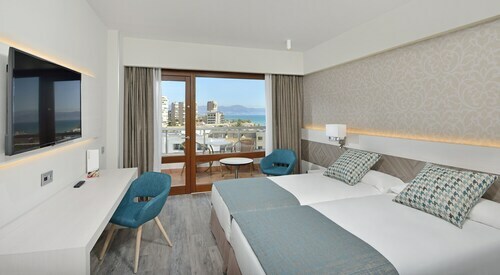 Located in Torremolinos City Centre, this hotel is within a 15-minute walk of Plaza Costa del Sol, Aqualand Torremolinos and Los Alamos Beach. La Carihuela and Bajondillo are also within 1 mile (2 km). Torremolinos Station is only a 4-minute walk.